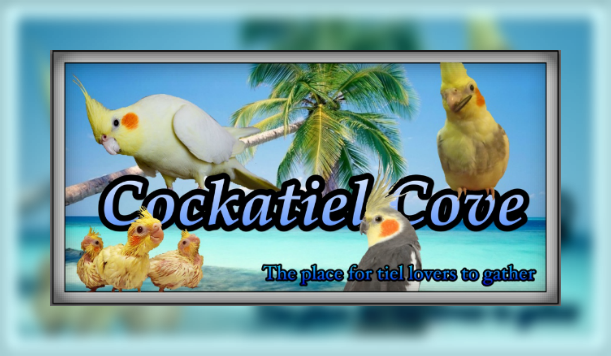 Welcome to The Cockatiel Cove! Are you member? Do you want to ask a question,post pictures of your tiels discover facts about them? Something else? Not a member?Interested in getting a tiel? Own one?Love them?Need to know more? » Hi I am new to this site . » how can I tame a nasty bird? » Signs of an ill bird. » what should i do? » New to the site and excited! As we know, all living things can have a sickness. Even plants. Bordetella avium is a gram negative aerobic bacterium responsible for the avian disease referred to as bordetellosis. This disease is highly contagious producing an upper respiratory tract infection that most often leads to death in cockatiel chicks. This bacterium was first isolated from young turkeys in 1967 and officially named Bordetella avium in 1984. Clubb et al report isolation of B. avium from infected cockatiel chicks in late 1993. This study also reports isolation of B. avium from two Wagler’s conures, a jenday conure, a muluccan cockatoo and a nobles macaw that showed similar signs for bordetellosis. There are further reports of B. avium being isolated from numerous other species of birds to include chickens, finches, budgerigars, noble macaws, Japanese quail, ostriches, etc. This disease is worldwide and some speculate that it is being carried within 80% of caged cockatiels. B. avium commences a path of infection by colonizing the ciliated epithelium of the cockatiel’s tracheal mucosa. As the disease progresses, it will destroy this outer layer of tissue along the respiratory tract and while doing so produce toxins that can affect other groups of tissue in the body. This infection will also predispose the cockatiel to other infectious diseases. B. avium acts quite similar to its human counterpart – Bordetella pertussis (whooping cough) however, there is no evidence that B. avium can infect humans. Most research to date on the effects of B. avium has focused around the turkey because of the economic impact of this disease on the poultry industry. This research on turkeys, which is well documented, will be provided, where appropriate, throughout this presentation to gain a better understanding of the potential effect of this disease on cockatiels. We are aware of only one formal study thus far performed on bordetellosis in cockatiels. Pertinent information from this study of bordetellosis in cockatiels performed by Clubb et al is included. In addition, we present data and observations from our personal experience in dealing with a cockatiel aviary infected with this disease to include what would appear to be a successful treatment of B. avium carriers. Protruding eyes that appear half shut. This is due to swelling of the suborbital chamber of the infraorbital sinus, which forces the lower eyelid upward. The head appears swollen due to inflammation of the skeletal (voluntary) muscles adjacent to the inflammed nasal cavity and infraorbital sinus. Inflammation of the skeletal muscle responsible for opening the beak creates the “lock-jaw” condition. Excessive egg-laying can be a problem in multiple species of birds, but especially in cockatiels, lovebirds, and budgerigars. It occurs when a hen has a larger than normal clutch (an uninterrupted series of eggs laid by a hen, usually 2-6 eggs depending on the species) or lays repeated clutches. Hens may lay eggs even if there is no male bird present. In the wild, egg-laying may be stimulated by the changes in photoperiod (day length), availability of food and nesting materials, increases in temperature and humidity, and other environmental conditions. In the home, these conditions may be created inadvertently with the use of artificial lighting, climate controls, and diet. How does excessive egg-laying affect the health of the bird? Birds are susceptible to parasites just as mammals and reptiles are. For most mammalian parasites there is a counterpart in the bird world. Birds can be infested with internal parasites such as worms, and with external parasites like mites. Birds that are kept outdoors or in flocks are more likely to have a problem with parasites because of their increased risk of exposure. One or two birds caged together should have minimal risk of becoming infested with parasites assuming they were parasite-free when purchased. Some of the more common types of parasites are described in the 3rd link below. Protozoa are difficult to define, as they share characteristics with animals, but they are not really animals in any other way except that they can move independently, usually with whip-like tails called flagellae, but sometimes with a sliding or rolling movement. The whip like ones can be found in garden ponds if you have a lens and the sliding ones include the slime moulds which most people have seen – not individually, but as a colony – if they are keen gardeners. But no matter what they are or how they move, protozoa can cause some very unpleasant symptoms in birds and for a young, old or immune suppressed individual they can often be fatal. There are many protozoa which can infect birds but the general symptoms are the same. Protozoa basically make a bird ill by colonizing the gut and interfering with the absorption of fats and other nutrients. This will make the bird lethargic and it may also cause diarrhoea, which will be sticky rather than loose. If the absorption problem has been fairly long-term, with a subclinical dose of protozoal infection, then the vitamin deficiency can result in poor condition, feather problems, itching and dermatitis. Unfortunately, not all birds suffering with a protozoal infection with look unwell. Many are asymptomatic permanently, others only for some of the time and others are ill straight away. All of these can shed the protozoa in their faeces, though, so if a bird appears to spontaneously improve it is still a very good idea to have a lab report on its faeces, to make sure there are no protozoa present. Protozoa can encyst themselves, in other words take on a protective coat to enable them to survive outside the body and so they can live in dried faeces on the cage floor or perches so it is important to keep on checking if you have had an outbreak that the protozoa have been eradicated properly. Polyomavirus is a deadly infection that affects many of the bird's body parts and organs simultaneously. This infection affects caged birds, especially those from the parrot family. Young birds from newborn to juveniles (14-56 days), are the birds most at risk and is usually fatal. Though not proven, adult birds are thought to form some immunity to polyomavirus. From the time the bird contracts the infection, it takes about 10-14 days for the it to display symptoms. However, a bird may or may not show any sign of the polyomavirus infection. If the symptoms are displayed in your bird, its death may be imminent -- usually within one or two days. Since the infection lowers the immunity of the bird, it can be susceptible to other viruses, bacteria, fungi and parasites, which can lead to secondary infection and death. The polyomavirus is usually contracted through direct contact with other infected birds. It is also contracted from infected feces, dander, air, nest boxes, incubators, feather dust or from an infected parent passing it to chick. Could you maybe put explanations and symptoms of each of those under the names? Ok,but when I get home,im using a phone. » 10 Top Reasons To Garden For Health.